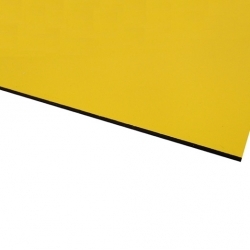 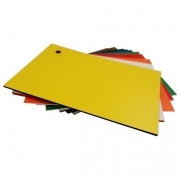 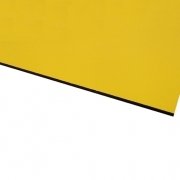 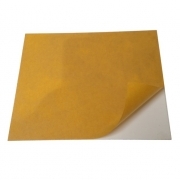 It has a very thin foiled Yellow surface which cuts through to a Black modified acrylic base. 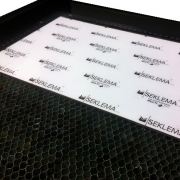 The foiled surface allows for a very crisp detailed engraving of text and/or logos. 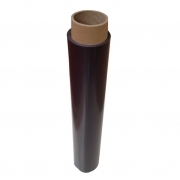 We are really pleased with the quality of the items as well as the service. I am sure we will be ordering more items in the future.